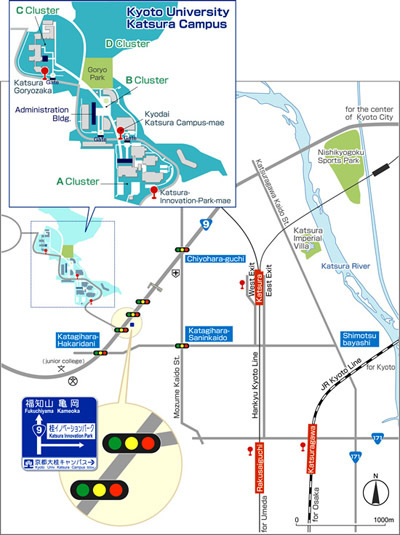 For the directions to the Yoshida Campus and the Uji Campus, please see here. Click here for Campus Area Map and Bus Stop Information (A4 size　PDF). 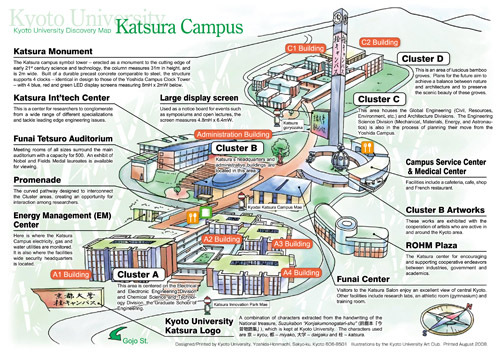 Click here for Katsura Campus Discovery Map.